First and foremost when heading into Magic Kingdom Park, keep in mind the same thing you should keep in mind when visiting ALL Disney parks! 1. 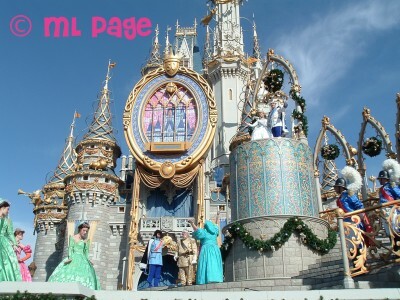 Photopass Photographers are set up where they are for a reason! They are standing waiting to take pictures of your family in the best frames and most classic shots! 2. Kodak Picture Spots are marked off for a reason! They are overlooked so much but they really set you up for a great pic! 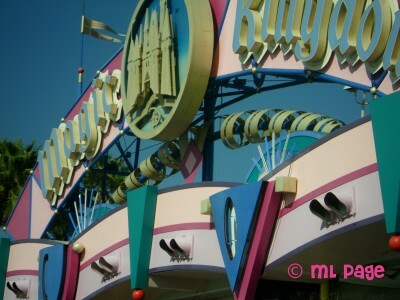 Now, that you have your classic Castle pictures and have taken advantage of the best places to nab a pic outside major attractions, there is only one hint left on that matter-- there is a big different between night and day! 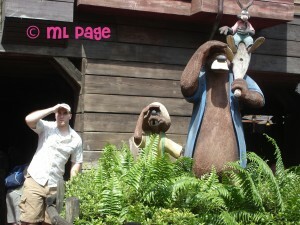 Also, don't forget all the attention to details imagineers have paid here at Magic Kingdom! 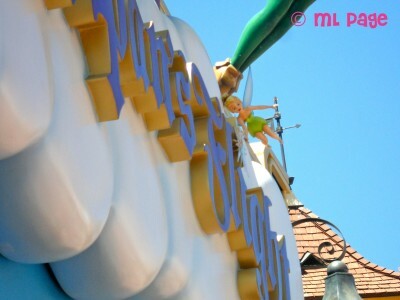 From the signs in the Main Street Windows to the small little things lurking in the signage, look at things from a new angle to see Tinkerbell as you never had before or a small hidden gem. While you are at it, join in the fun! I love pictures where my husband or I jumped into a queue area or positioned ourself in a play area (one of my faves is my husband with Brier Fox, Beer, and Rabbit). Another reason to get to stage shows and parades early is the great photo spots! You can get clear, professional quality photos with a steady hand and a clear spot! 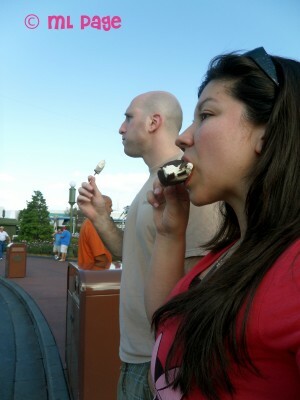 I also think Disney is the best place to master the art of the self shot. I take pictures of myself all the time (LOL) and if you have never noticed, I can take a picture that doesn't look like I am taking a bad bar or club picture pretty easily that includes nice angles and backgrounds and it really doesn't take that much effort. Annnd if you need a little help, check out the article I wrote that gives you some tips on how to get a good self-shot everytime: The Art of the Self Shot. Last put not least: NEVER DELETE YOUR PHOTOS! 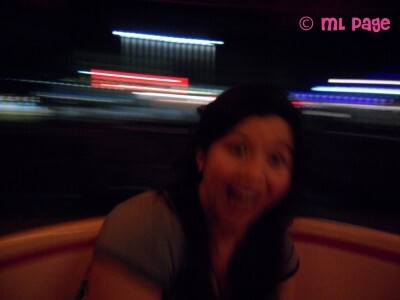 I swear, blurry tea party pictures might be my favorite ones ever and on a little touch screen they look so crappy! But on the computer they look like crazy spinning fuuuun!!! So, always always always bring a couple big memory cards and wait until you get home to hit 'delete'!